Media Molecule's upcoming sandbox game Dreams is entering Early Access on April 16. Early Access will allow players a chance to get their hands on Dreams' creation tools before the game's full release – but it won't feature everything we can expect in full release, such as story mode, and spaces will be limited. Early Access will grant players access to Dreams' interactive tutorials and arcade games, templates and additional content created by Media Molecule, as well as content created by the community during the Dreams Creator Beta. You can purchase Dreams Early Access from the PlayStation Store from April 16 for $29.99 / £24.99 (roughly AU$47.95). Purchasing Dreams Early Access means you will have access to the full version of Dreams on release - so you don't have to buy it twice! Also, your progress in the Early Access version will transfer to the full version. 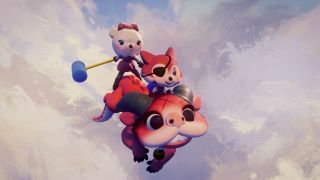 Dreams Early Access is limited – though Media Molecule has claimed there's a "big limit". Early Access also won't include the Dreams VR feature.